The only current DVDs available (legally) are made in the UK for region 2 DVD players; PAL format. They do not work in most United States DVD players. All of the episodes are unedited (except for a title card) but do not include all of the Stan Lee narrations. In the early 1980's, G.I.Joe, He-man, and The Transformers set the trend for cartoons to automatically inspire a toyline. 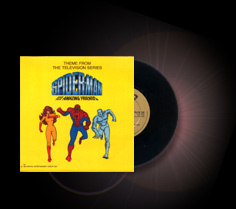 Spider-Man and his Amazing Friends, unfortunately, came out just a year or two before these shows. The show did inspire some related merchandise. 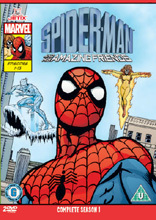 Spider-Man and his Amazing Friends also managed to have a limited number of comics devoted to the Spider-Friends. All VHS videos are currently out of print, though some stores may still have them in stock. Many can be found on Ebay.